Kenny Lam / VisitScotland, All Rights reserved. The picturesque village of Balmaha is a bustling tourist centre situated on the eastern shore of Loch Lomond. 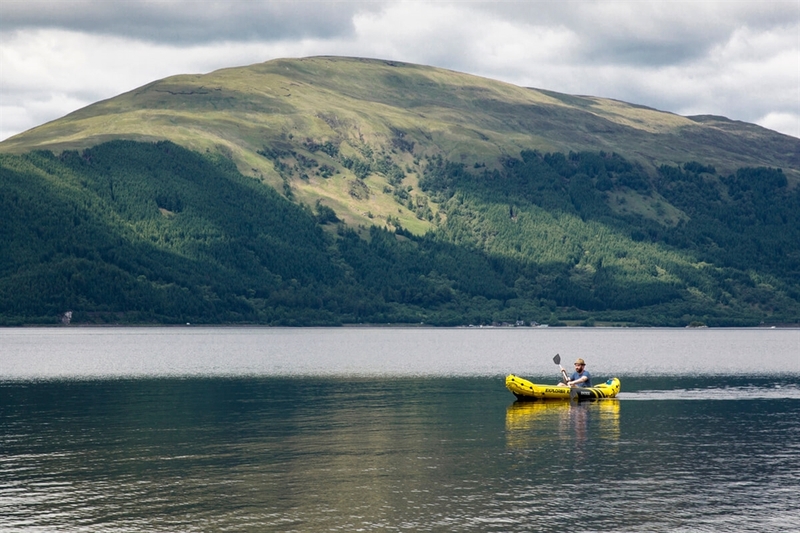 Balmaha is an ideal destination for exploring the area around Loch Lomond. The visitor centre in the village provides extensive information about Loch Lomond & The Trossachs National Park and its islands. The West Highland Way passes beside the village as it takes walkers along the eastern side of Loch Lomond. Just to the north of Balmaha, near Strathcashel Point, are the remains of a crannog, an ancient loch dwelling. This highlights that there has been a settlement here for the last five thousand years. The village is also an important pleasure boating centre. 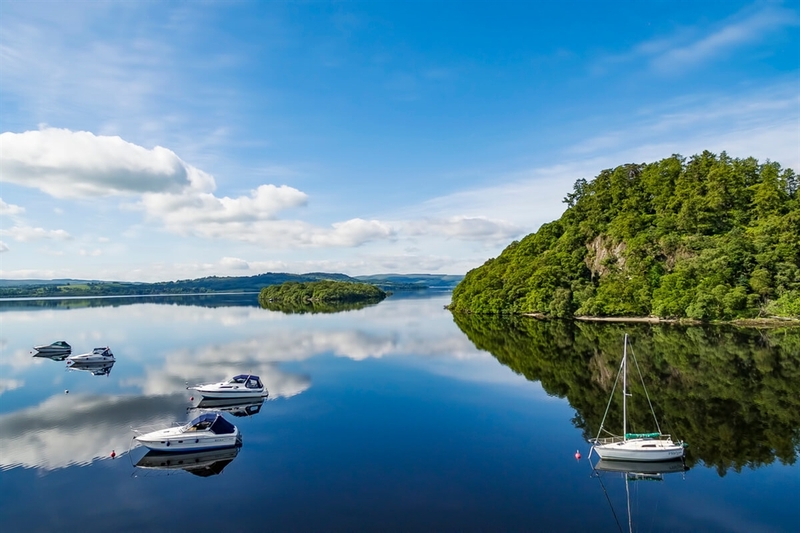 There are also a number of companies offering cruises around Loch Lomond from the village and visitors can take scheduled ferries to a number of the beautiful villages around the loch from here. A popular destination with visitors is the nearby island of Inchcailloch. A walk to the summit of the island offers unrivalled views of Loch Lomond and from Endrick Point you can spot some amazing wildlife. Or if you prefer you can hire a canoe or rowing boat and explore the area around the shore for yourself.